Variety is the spice of life this month! This is the fourth annual benefit concert for the Daily Bread Food Bank. The last three Bob Marley Tribute concerts have produced well over a ton of donated non-perishable food. 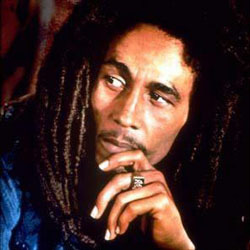 The highly anticipated new EP from Irie Band will be launched on the occasion of Bob Marley's 64th birthday. The Irie Band was recently featured last month on the popular show Kenny vs. Spenny. Big Rude Jake (born A. Jake Hiebert) is a singer, songwriter and jazz musician based in Toronto. He recorded several albums with different jazz ensembles and musicians; mixing rock, blues, ragtime, rhythm and blues and swing. 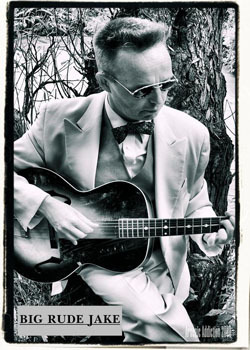 International attention was brought to Jake in the late 1990s, during the swing revival and he has since continued to perform on a regular basis ever since. Jake performs regularly on Friday nights at The Reservoir Lounge but can also be found performing with various combos in theatres, music halls, restaurants and nightclubs throughout the GTA and beyond. Trying to figure out which songs are jazz standards or classic folk songs and which are original compositions is always a challenge. He is a remarkable songwriter, storyteller and all around entertainer. 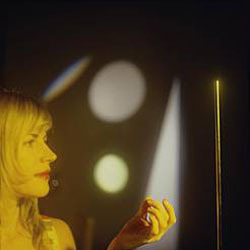 DORIT CHRYSLER is one of the worlds leading Theramin players. Since the age of seven when she first performed at The Opera House in Vienna, Austria she has never stopped creating and performing unique music. 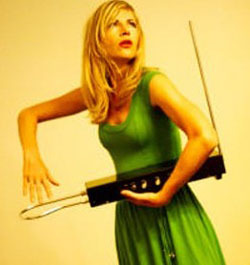 She has shared bills with acts as diverse as Marilyn Manson, Oingo Boingo, Lary 7, Elliott Sharp and Amon Tobin. Ann Magnuson of Paper Magazine probably put it best: "Imagine if Marianne Faithful and Nikola Tesla had a love child with Jane Birkin as the nanny and Bjork as the wayward Girl Scout leader!" We would add Esthero and Feist as next door neighbours. You will never forget seeing Dorit perform live – of that you can rest assured! 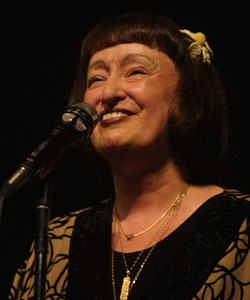 Sheila Jordan is a true jazz legend. She studied with Lennie Tristano and Charles Mingus, performed live with Lee Konitz and Bob Moses, and released over 20 solo recordings and many more as a featured vocalist, including an appearance on the Jane Bunnett CD, “The Water is Wide.” It is rumoured that the Charlie Paker wrote the song “Chasing the Bird” was written for her, as she chased him around the jazz clubs in the forties and eventually married Duke Jordan, Bird’s pianist in 1952. At 80 years young, Sheila shows no signs of slowing down! Sheila will also conduct an intensive jazz workshop at ART OF JAZZ STUDIO, 55 Mill Street #202 (doors at 12:30 and class from 1-5pm) Tickets for this are $60 per participant and $30 per audience member. 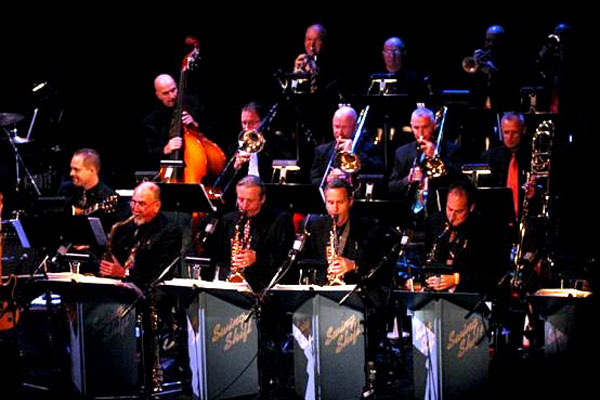 Palais Royale hosts a Big Band Valentines Dance featuring classic songs made famous by Glenn Miller, Nelson Riddle, Count Basie & The Dorsey Brothers Orchestra. Jim John’s Swing Shift Big Band will be join be guest vocalists Glenn Chipkar, Larisa Renee and Trio Bella. DJ Theresa Yuan will spin between sets. 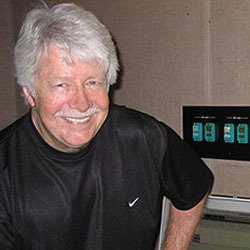 KEN SCOTT is one of the biggest names in the music business. From his early years at Abbey Road working with acts like the Beatles, Jeff Beck, Pink Floyd, to Trident Studios where he garnered millions of record sales with such artists as Elton John, George Harrison, Harry Nilsson, America and The Rolling Stones. Ken has received gold and platinum awards from around the world. This presentation is a once in a lifetime opportunity for both studio buffs and music fans alike. Through the use of audio clips KEN SCOTT will break-down the multi-tracks of classics such as George Harrison’s “What’s Life” and David Bowie’s “Life On Mars”. The audience will hear these recordings in a way rarely heard. With the use of film clips and pictures, Ken explains how some of these classic records were made. The evening will also include a Q & A period.